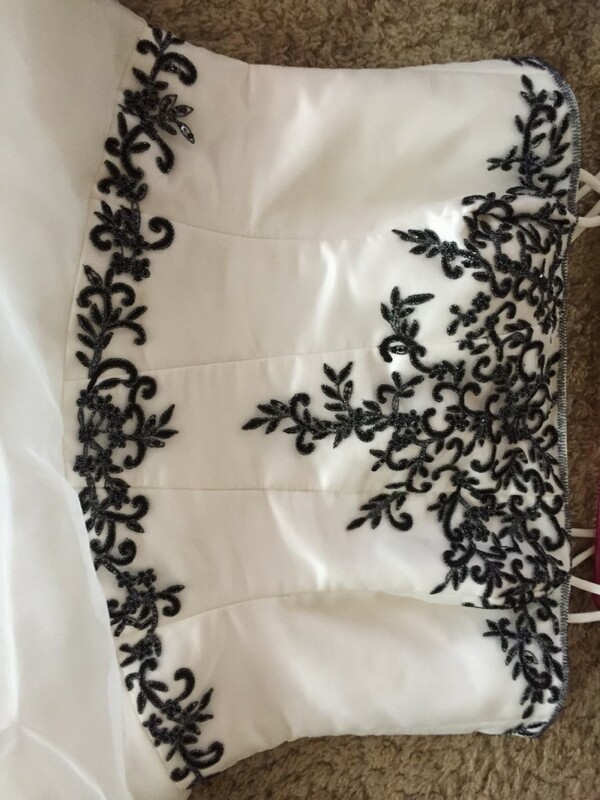 It's an ivory dress with black appliqué over the bust and some on the train as well as you can see in photos. I also have a veil to go with it and will include in the price and a pair of size 10 shoes if you would like them . Can get to Adelaide if needed. Has been professionally dry cleaned and is in a immaculate used condition. Purchased my dress from the lovely ladies at Bridal on Pulteney.